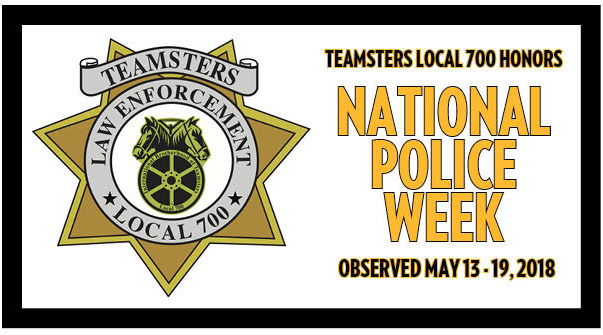 In honor of National Police Week, Teamsters Local 700 would like to pay homage to all of the hardworking law enforcement officers who serve with integrity and pride, and often sacrifice their own personal safety to protect the public and their surrounding communities. National Police Week is an annual campaign to recognize law enforcement members and honor those fallen officers who made the ultimate sacrifice. This year’s national observance week is May 13 – 19, and several annual events will take place around the country and in Washington, D.C.